(P1) Next time you are in your local grocery story, step in to look a little more closely at the beer cooler. Amid the brightly colored, creative packaging lies the final battle for the ultimate goal – your purchases. (P2) But, what battles were fought to get the beer to that particular cooler? More importantly, what might those battles say about larger trends in business today? (P3) At Miami University’s Farmer School of Business, we designed an EXPERIENTIAL class to go in depth with these issues, LEVERAGING the lessons of the beer industries as a way to better understand larger trends in business strategy and SUPPLY CHAINS. (P4) Why beer? What is significant about the brewing industry? And what can students take away (besides a new appreciation for HOPS)? (P5) The beer industry turns out to be a fascinating MICROCOSMS of the larger landscape of today’s business climate. Breweries are VARIED and transparent, PRISMS through which students get to see firsthand the strategies employed by the full SPECTRUM – from tiny pubs to the fastest-growing midsized breweries to the largest brewing facility in the world. In other words, they offer the perfect opportunity to use a HOSPITABLE, popular setting to examine a PLETHORA of questions facing the industry and individual businesses. (P6) For instance, how can microbreweries survive given their PALTRY MARKET SHARE? (The average US microbrewery has a 0.0041% market share.) Who are they? And how do they compete against the global brands and scale of the macrobreweries? (P7) We set out to find out for ourselves – and for our students. (P8) During a three-week intensive examination of the beer industry, we toured 25 breweries and related facilities from Portland, Oregon to Asheville, North Carolina in a field study to get to know the INTIMATE details of the industry’s supply chain. (P9) And what did we find? (P10) The OVERWHELMING majority of new market entrants in the beer industry are craft breweries that sell to a very localized consumer base. (P11) As the dominant market players concentrated on general markets, WIDESPREAD distribution and global uniformity, there were many geographic NICHES for ENTREPRENEURS to claim local identities. (P12) Now, the craft and local nature of these new beers is capturing the new generation of beer drinkers – indeed, 44% of drinkers aged 21 to 27 report never tasting Budweiser or Bud Light, two macrobrew ICONS. (P13) In touring the beer industry, students start to understand it at a deeper level. (P14) Instead, drinking local beer has become part political statement – lowering carbon emissions and supporting local entrepreneurs – and part cultural experience – either as connection to a hometown or as a tourist destination. (P15) In touring a few dozen breweries, students begin to understand the industry at a much deeper level. (P16) They see up close the struggles the small brewers go through to survive. They understand the challenges of SCALING UP and maintaining complex businesses with national distributions. They recognize strategies and the logic behind them. (P18) How many local breweries can the US sustain? (P19) Will we see a BUBBLE in the beer industry as more investment money pours into brewing? (P20) In response to declining light lager sales domestically, the major breweries have turned to acquiring smaller craft brands like 10 Barrel, Elysian and Leinenkugel’s, mirroring efforts in the food industries as “big food” YIELDS market share to local, niche brands. 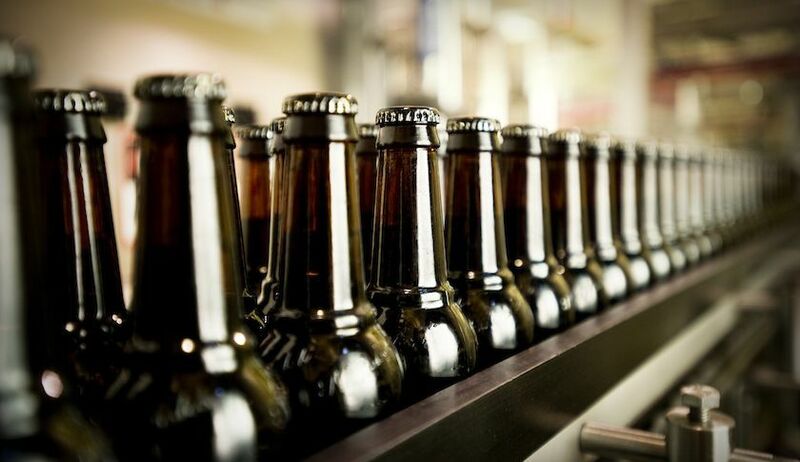 (P21) Similarly, independent craft brewers, like New Belgian and Sierra Nevada, have become national brands, bringing together the opposing forces of ECONOMIES OF SCALE and local branding, REPLETE with high connection with consumers, small BATCHES, and NIMBLE product offerings. But can rapidly growing craft breweries keep their local feel? (P22) So, some of the questions we ask are: Will acquired local breweries continue having craft appeal with new macrobrewery ownership? What are the quality implications for regional craft beers once they are part of a larger company? (P23) Interestingly, unlike the big companies, small beer manufacturers tend to view each other as more collaborators than competitors, and openly share stories of assisting a competing brewery when IN A PINCH. (P24) Because of the craft beer market growth, increasing REVENUE at individual craft breweries has not had to come at the expense of other craft breweries. (P25) Instead, thousands of craft breweries have formed ALLIANCES, such as the Brewer’s Association, to LOBBY on behalf of smaller breweries to position themselves with better laws, taxes and regulations, in turn decreasing the advantages of large INCUMBENTS. (P26) This leads to yet another question: Will the collaborative ETHOS of smaller craft breweries turn ugly when craft beer sales begin to decline? (P27) The bottle of beer on the grocery shelf seems so simple. Yet, it is the result of an INTRICATE ORCHESTRATION of materials and LOGISTICS that takes seeing to grasp. (P28) Producing glass from train cars of sand; securing contracts for hop futures to avoid severe shortages; MALTING your own barley; breeding superior strains of yeast; locating plants on top of preferred AQUIFERS: all sourcing strategies used to achieve an edge on the competition. (P29) Students respond AVIDLY when they see an industry in such great depth. They appreciate how complex running a business truly is regardless of size. (P30) They are stunned at the variety of company cultures, and become more comfortable in finding one right for them. They see the FRUITS of an idea, an entrepreneur and hard work, compelling confidence in many students to start their own VENTURES. (P32) Being out IN THE FIELD and being challenged with the complexities of several real businesses each day helps make those connections. So, we do these tours each year. We EMBARK on our next field tour in January 2016. (P33) Although numerous programs on the science and techniques of brewing have CROPPED UP nationwide, few have explored the breadth and depth of the business in all its intricacies and connections. (P34) Single-industry classes, such as this one, allow students to see the lines of connection between business functions, across the niches of a marketplace. They also allow them to explore the complexities of supply chains and cooperative strategies that structure the modern-day economies that these graduates are entering. Would you rather work for a large company, or own a small business of your own? Do you have a favorite alcoholic beverage – beer, wine, some other? What brands of beer (“macrobrews”) are most popular in your country? Niche products also cost more than MASS MARKET products. Are you willing to spend that extra money to have niche product experiences?